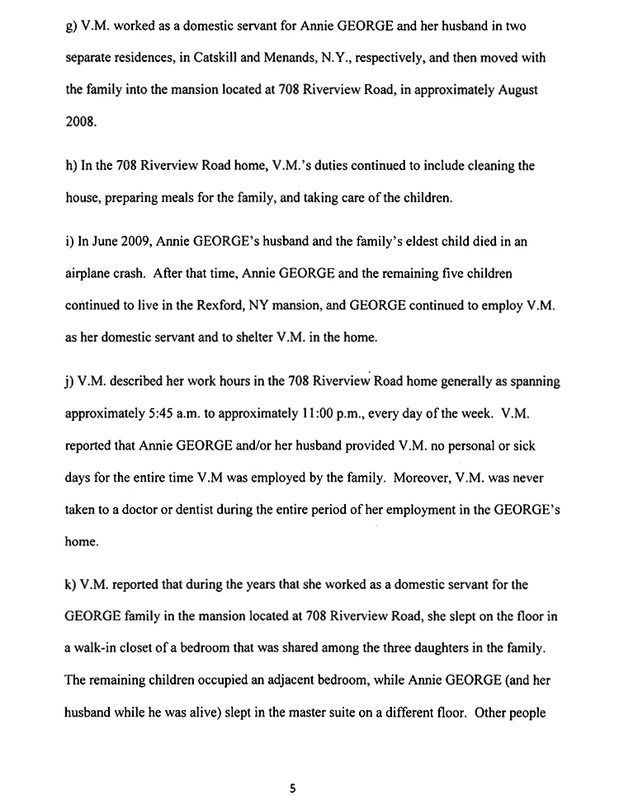 FEBRUARY 29--A New York woman who lives in a 34-room, 30,000-square-foot mansion is facing a federal criminal charge related to her employment of an illegal alien who allegedly served as a domestic servant in a “forced labor situation” that included her working 17-hour days, seven days a week, and sleeping in a walk-in closet. 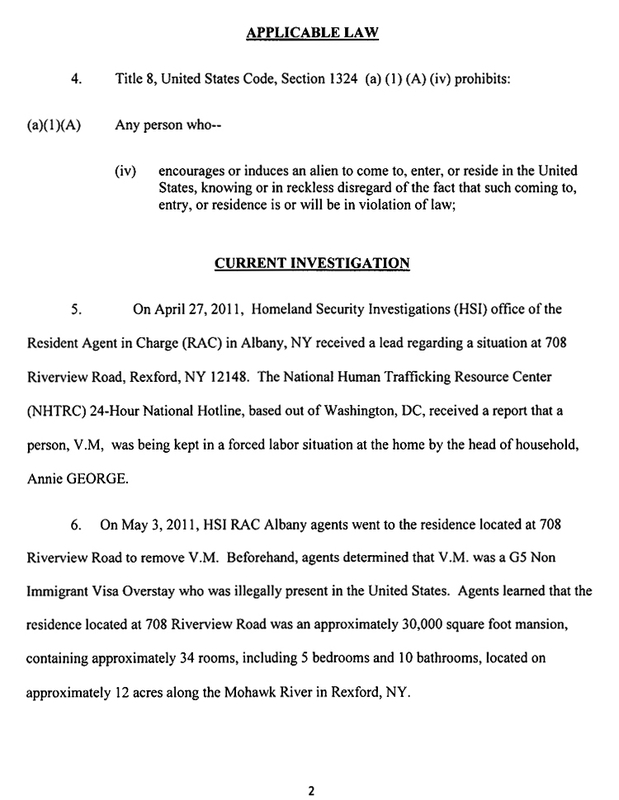 Acting on a tip received by the National Human Trafficking Resource Center, federal immigration agents last year removed the servant from the 12-acre estate (pictured below) on the Mohawk River in Rexford, a hamlet 20 miles north of Albany. 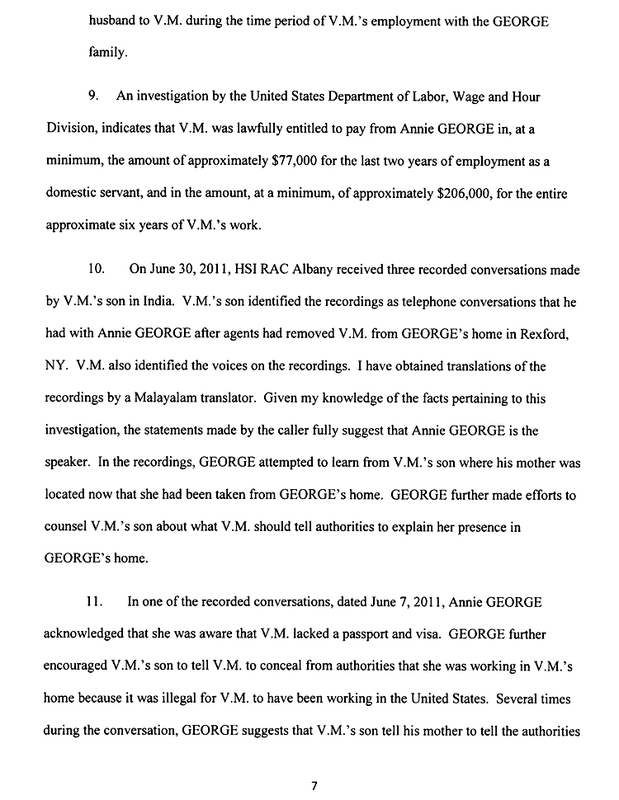 A subsequent criminal investigation determined that the woman--who barely spoke English and came from the Kerala state in India--was paid about 85 cents an hour during the 67 months she worked for Annie George and her husband (who died in a plane crash in mid-2009). 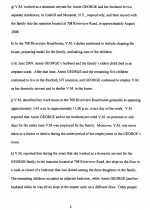 The servant, identified only as “V.M.” in a court filing, cooked for the George family, cleaned the sprawling mansion, and cared for the couple’s five children. The George estate has a helicopter pad, an indoor swimming pool, 15 fireplaces, Scandinavian marble flooring, a four-story solarium, 24-karat gold gilded ceilings, a glass elevator, and an array of other features. 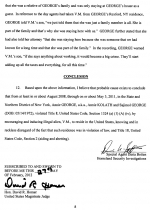 Before his death, George’s husband listed the residence for sale at $30 million. 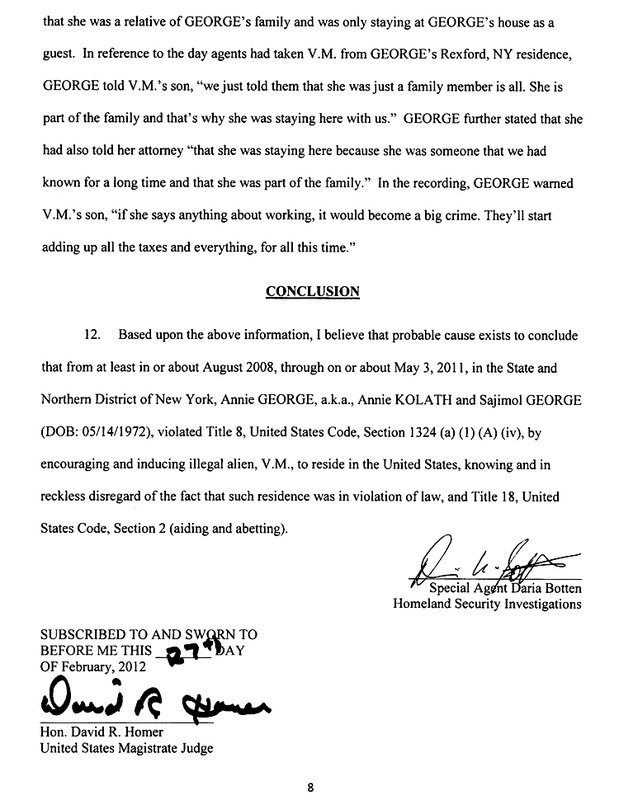 According to a criminal complaint filed Monday against Annie George, 39, the servant entered the U.S. on a non immigrant visa in 1998 to work for the family of a United Nations employee. 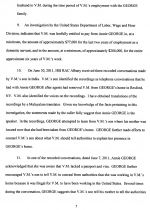 She began working for the Georges in late-2005 after being offered about $1000 per month, a substantial pay increase.